Looking for hotels near Tanote Bay? Located on a hill, Tanote Villa Hill offers spacious villas with a private balcony and flat-screen cable TV. This resort features an outdoor swimming pool and free WiFi access. 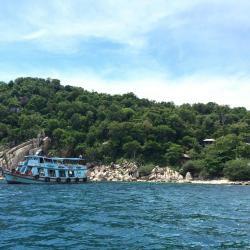 Located in Ko Tao, 1.1 miles from Sunken Ship, Philip's Villa offers accommodations with free WiFi. 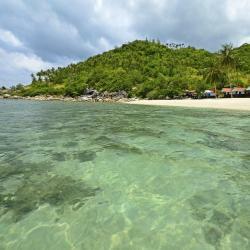 Mountain Reef Beach Resort is located in Ko Tao and offers guest rooms with free WiFi. Its on-site restaurant serves Western and Thai cuisine. 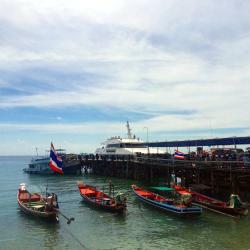 Located within 1.6 miles of Mae Haad Pier and 1.9 miles of Sunken Ship in Ko Tao, Langkhai Garden provides accommodations with free WiFi and seating area. Located in Ko Tao, Naroua Villas offers villas with a private pool and a wide range of services for their guests. The property provides free WiFi and free private parking. 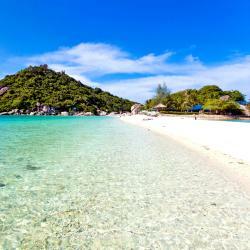 Offering an outdoor pool and a private beach, Montalay - Eco Cottage is located in Ko Tao. Free Wi-Fi access is available in this lodge. People are talking about Tanote Bay! Explore guest hotel reviews featuring "Tanote Bay"
Family rooms were huge and clean, especially the ones on upper floor with balcony facing the pool, which was refreshing after days in the sea. Staff was friendly and aimed to please. Free transfers to/from pier at certain times of day (call ahead). Location was convenient to restaurants, shops, 7 Eleven, and yummy roti and smoothie stands. There’s also a shop nearby that rents decent snorkel gear. Reception can also arrange taxi to outlying beaches. 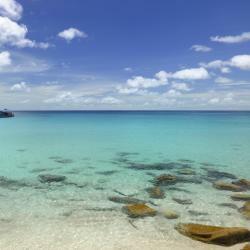 (Tanote Bay is great for snorkeling.) Enjoy! 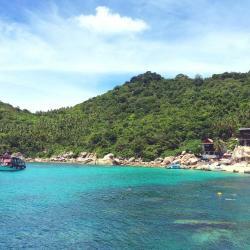 Literally steps from Tanote Bay, this hotel provides best value for access to one of the best snorkeling places on Koh Tao (lots of fish to see and a cool rock to jump from that can be climbed by older children as well as adults). Cute bungalows, and adjacent to a dive shop that rents quality snorkel gear for 100 Baht per day. One thing to mention is the quantity of large steps to the bungalows: our family enjoyed them but they may not be ideal for all people.